From Final Fantasy V, VI, VII, and VIII. Square Enix has released a new character trailer for Dissidia Final Fantasy NT introducing Final Fantasy V‘s Bartz Klauser, Final Fantasy VI‘s Terra Branford, Final Fantasy VII‘s Cloud Strife, and Final Fantasy VIII‘s Squall Leonhart. Bartz Klauser is a focused combatant set out to balance the rights and wrongs. He is a brave young man with skills to land stronger attacks the more they are used in battle. Terra is skilled in long-range combat using her expertise in casting spells. With her strength in magic, she can perform multiple projectiles against an opponent or cast advanced spells that deal significant damage. A mercenary in his own right, Cloud is a reserved yet powerful swordsman. His specialty during combat ranges from sending enemies flying with his sword or charging attacks that a deal great amount of damage. 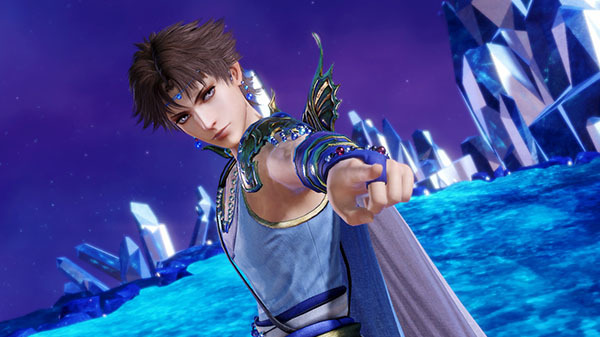 If you missed them, previous trailers introduced playable characters Warrior of Light, Firion, Onion Knight, and Cecil Harvey, and non-playable characters Materia and Spiritus.